THIS IS A SPOILER-FREE Tom Clancy’s Jack Ryan REVIEW. SO GO AHEAD COMFORTABLY! The latest series by Amazon Prime Video, Tom Clancy’s Jack Ryan is here now, for a while, since it premiered with its first season, last month. 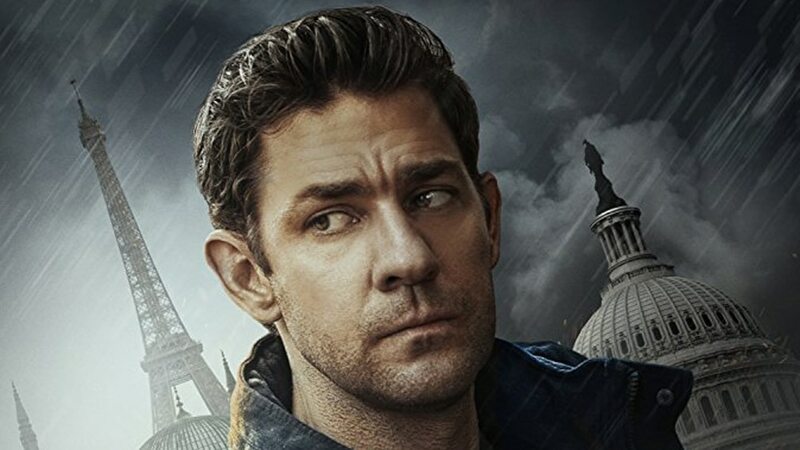 Starring John Krasinski (A Quiet Place) as a CIA operative who gets on a mission to stop a terror activity, the show offers a different approach to the character of Jack Ryan, one of the famous characters by Tom Clancy, who was a famous American novelist. It’s the sixth live-adaptation of Jack Ryan and in the past, actors like Harrison Ford and Alec Baldwin have portrayed the role in the 90s. Though the episodes in the first season of the show are directed by different people, the main theme and story keep you hooked with the characters. Especially, John Krasinski, who plays the title character shines here too, after mesmerizing everyone with his exceptional performance both as an actor and director in this year’s early release, A Quiet Place. Krasinski knows how to hold both the innocence and brave emotions, in his character, while dealing with challenging situations going through the plot. He has a thing of his own which separates him from previous portrayals of Jack Ryan by actors like Harrison Ford and Alec Baldwin. With each episode you see him grow as a person and as a responsible part of his organization too, who is an analyst initially but turns into a fighter, soldier at the end. Along with Krasinski, actor Wendell Pierce, who plays James Greer, makes the story even more interesting with his own short tale and his hardships in life. He makes a strong impact in many of the scenes with Krasinski when he tries to teach him helpful lessons. At first, there is a tension going on among the two, but then they get to know each other when being sent on a mission together-their bond catches your interest. Other than the ‘two good men’, the bad guy, that is, Suleiman, played by actor Ali Suliman, is also compelling and leaves his own impression as one of the better villains in any show, in the recent years. His own personal sorrows and tragic backstory keeps the viewer both with him and against him. That’s a good thing about any villain in a movie, TV show, or a web series-he should be able to make you empathize with his actions and ideology. The show keeps it as simple as possible and thus, the complications of other supporting characters are less too. Still, Abbie Cornish (playing as Doctor Cathy), Dina Shihabi (playing Suleiman’s wife, Hani) also have an important part which helps in the progression of the story. As is already mentioned above, the episodes are directed not one but various people, yet your involvement remains intact in Jack Ryan’s missions and how he tackles each danger with his wit, intellect, and smartness. Yes, there are problems with the show which can be seen mainly in character development, especially towards the end of the season. Overall, Tom Clancy’s Jack Ryan is a fresh take of a character who has been seen multiple times in the past. But the way this one takes it with simplicity and gripping story building is great to watch.